Safety - "Tires may not be exposed to damages in the production process. Ready-made products must guarantee safe driving." Limited space - "We don't have space to expand the production line. All we can do is modernising the handling system as part of the existing plant"
Fluency of processes - "Tire production may not be interrupted by the implementation of the new conveyor line. After the implementation, the production has to be stable and without downtimes." Increasing effectiveness - "It is necessary to increase tire production as part of the existing process while at the same time reducing power consumption. Plant efficiency has to be better." We know how to change challenges into successes! 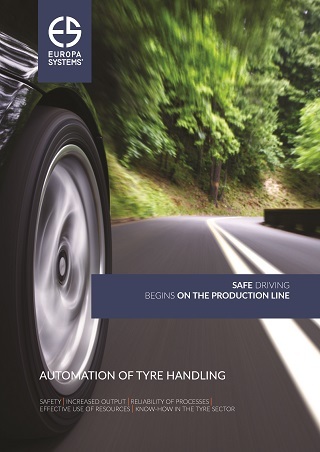 Safety is the key success factor in the tire industry. We will help you achieve it. 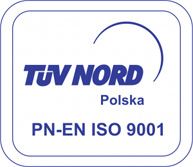 We ensure absolutely non-fault devices – 20 years of operation of our systems = 0 days of unplanned downtimes. 100% reliable assembly and servicing – 1700 orders a year – 0 days of delay in commissioning. We use energy efficient solutions. Green tires are treated particularly gently, to avoid damages during production. Accest to full information about tire condition at each stage of the process. Each tire must undergo tests in all machines conducting quality tests and final inspections. The tires never leave the transport routes assigned to them. 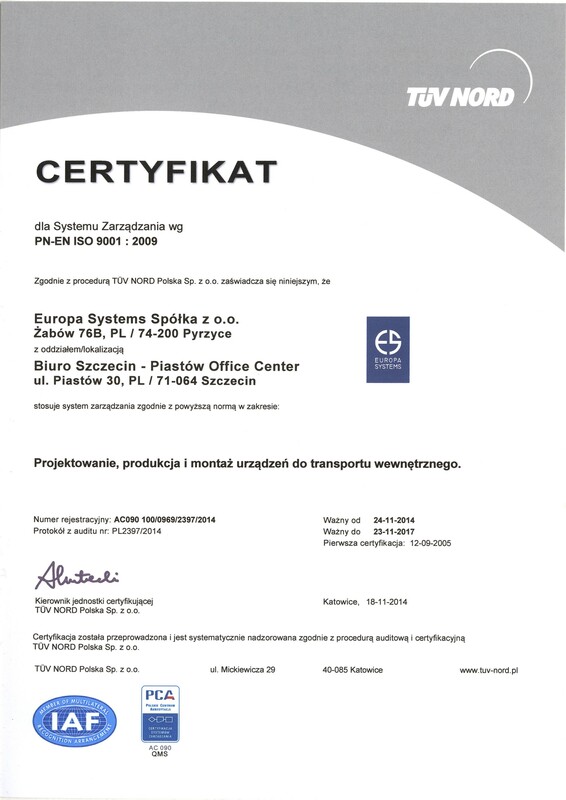 Our continuous transport devices and systems comply with all safety and security requirements and standards (compliance with Directives of the European Parliament). Europa Systems takes responsibility for its systems (e.g. by providing complete documentation and CE declarations). Europa Systems is a parter with which your production plant will safely produce reliable tires. 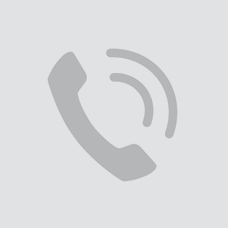 See our dedicated solutions. 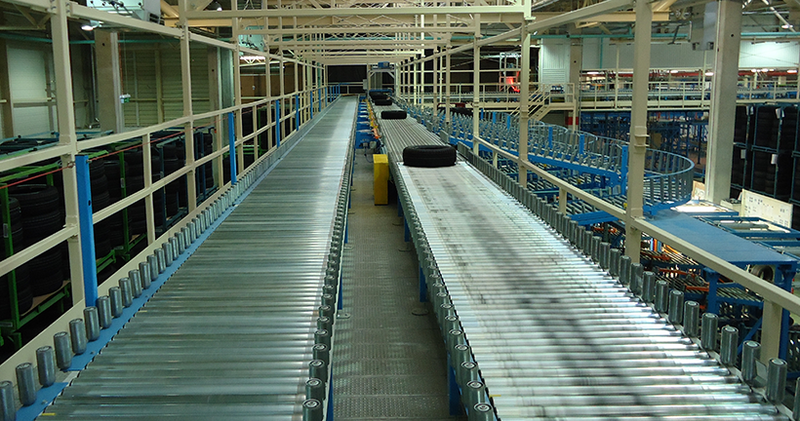 The line of conveyors for tire transport is intended for the technological process in tire manufacturing plants.